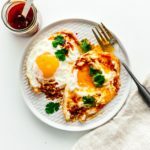 You need to be eating crispy fried eggs: eggs with impossibly crispy, lacy edges with tender whites and a runny yolk. With the perfect sunny side up egg the whites are usually tender and just set. The yolks are runny and everything is nice. But is it just nice eggs you want? Isn’t “nice” a little bit bland when you think about it? Don’t get me wrong, sunny side up eggs are good, but once you’ve had a crispy fried egg, you might never go back. Crispy fried eggs are the sexier, hotter, dare I say, more delicious of the fried eggs. Crispy fried eggs have that something that regular sunny sides don’t have. And the thing is, they’re just as easy to make. Okay, I’m actually lying. They’re not just as easy to make. Sunny side eggs are sedate for a reason. 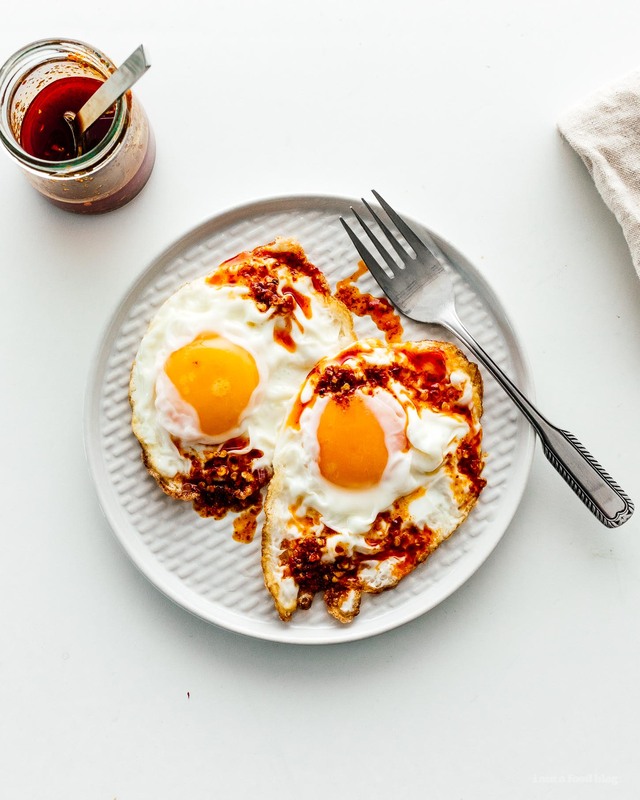 You can be half asleep and make sunny side up eggs. But if you’re making crispy fried eggs, you better be paying attention. Crispy fried eggs mean splatter and splutter and a lot of dramatic hissing action. But, you’ll be rewarded with deeply golden, lacy, delicate edges, puffy whites, and a molten, silky, lava yolk. These eggs add a bit of texture to salads, sandwiches, toast, hash browns, fried rice, noodles, you name it, these eggs will elevate it. It’s best to use a deep pan here, and even better if you use a wok, which is how my mom made these eggs when I was growing up. 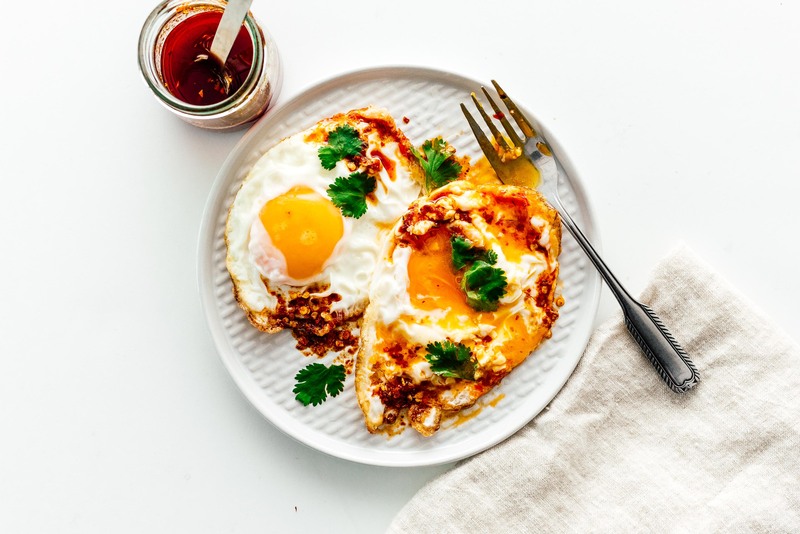 Other tips: crack the eggs into a bowl so you can pour them slowly and carefully into the hot oil, if you have a splatter shied, use it, and lastly if you’re particular about your whites, carefully use a heatproof spoon to scoop up the hot oil to spoon over the whites to cook them even more. Heat a generous amount of oil in a deep skillet (or even better, a wok) over medium high heat until very hot and shimmery. Break the egg into a small bowl. This will help you control how quickly the egg enters the oil. Carefully slide the egg into the hot oil – it will splatter and bubble up so be careful. Carefully tilt the pan away from you so the oil pools and use a heat safe spoon to spoon hot oil onto the uncooked whites, avoiding the yolk. The whites will puff up and cook. Continue basting until the whites are set, 45 seconds to 1 minute. 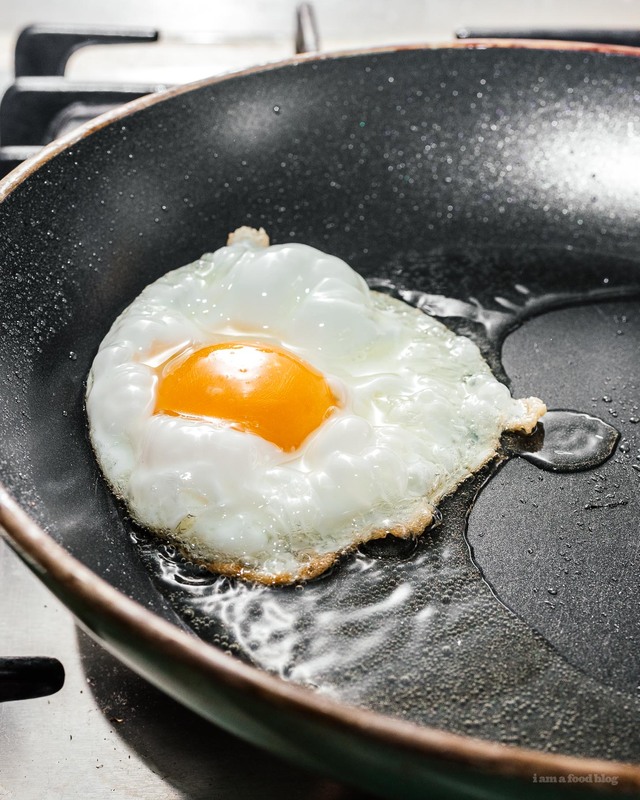 Remove the pan from the heat and use a thin metal spatula to loosen the egg and remove from the pan. Enjoy with salt and pepper or Chinese chili oil, if desired. I love it when the edges of the eggs are nice and crispy!